Victory Lane Limousines is a fully licensed and insured limousine company in Maryland with offices in Annapolis, Baltimore and York PA. Victory Lane Limo is a full service company serving the transportation needs of Anne Arundel County, Howard County MD, Montgomery County, Baltimore County and Baltimore City, Harford County, Frederick County and Carroll County in Maryland and York, Adams and Lancaster Counties in Pennsylvania. If it's luxury, elegance, dependable service and a good time that you are looking for, Victory Lane Limos can provide it all! 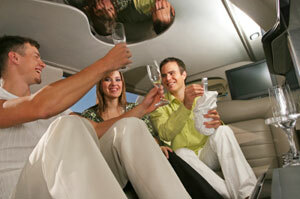 Our Chauffeurs are tuxedo dressed, highly qualified and trained professionals. We can also provide luxury transportation to and from all major airports in the area including BWI Airport, Reagan National Airport and Dulles Airport. 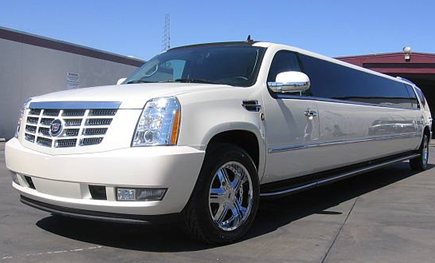 For ultimate comfort, we provide you with our late model sedan, 8 or 10 passenger white stretch limousines, Hummer Limos, Cadillac Escalade Liimousine or our super stretch Lincoln Navigator SUV limos that can fit from 6-14 passengers. All Limousines are equipped with Color TVs, VCRs, AM/FM Stereo, CD Player, Glasses, Ice, Bottled Water and the very important fiber optic mood lighting. Make sure to visit our “Limos” page for more details. Victory Lane Limousines can provide great service throughout Maryland and Southern Pennsylvania including the following areas. If you do not see your city or town listed please call or fill out our information request form. Anne Arundel County including Annapolis, Annapolis Junction, Arnold, BWI Airport, Crofton, Crownsville, Davidsonville, Deale, Edgewater, Gambrills, Glen Burnie, Hanover, Jessup, Laurel, Linthicum, Millersville, Odenton, Pasadena, Riva, Severn and Severna Park. Howard County including Clarksville, Columbia, Dayton, Elkridge, Ellicott City, Fulton, Glenelg, Glenwood, Hanover, Jessup, Laurel, Lisbon, Marriottsville, Mount Airy, Savage, Sykesville, West Friendship, Woodbine and Woodstock. Montgomery County including Ashton, Aspen Hill, Bethesda, Boyds, Brookeville, Burtonsville, Chevy Chase, Clarksburg, Comus, Damascus, Darnestown, Gaithersburg, Germantown, Laurel, Laytonsville, Leisure World, Montgomery Village, Mt Airy, Olney, Poolesville, Potomac, Rockville, Silver Spring, Takoma Park and Wheaton. Baltimore County including Arbutus, Butler, Canton, Catonsville, Cockeysville, Dundalk, Essex, Fells Point, Garrison, Glyndon, Hereford, Hunt Valley, Lutherville, Mt. Washington, Mount Washington, Owings Mills, Parkton, Perry Hall, Pikesville, Randallstown, Reisterstown, Rosedale, Sparks, Timonium, Towson, White Marsh, Windsor Mill and Woodlawn. Baltimore City including Canton, Charles Village, Cross Keys, Druid Heights, Federal Hill, Franklin Square, Fells Point, Govans, Greektown, Gwynns Falls, Harborplace, Inner Harbor, Little Italy, Mount Vernon, Mt Washington, Overlea, Park Heights, Patterson Park and Roland Park. Harford County including Aberdeen, Abingdon, Belair, Churchville, Edgewood, Fallston, Forest Hill, Gunpowder, Havre De Grace, Jarrettsville, Joppa, Perryman, White Hall and Whiteford. Victory Lane Limos Baltimore County, Maryland business. Small Business Internet Marketing by CountyWebsite.com Inc.